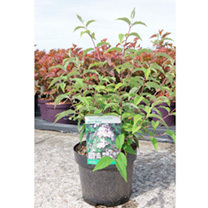 Deutzia 'Mont Rose' is a multi-stemmed, deciduous shrub with oval, rich green, deep veined foliage. Clusters of pale pink star-shaped flowers are borne in early summer. 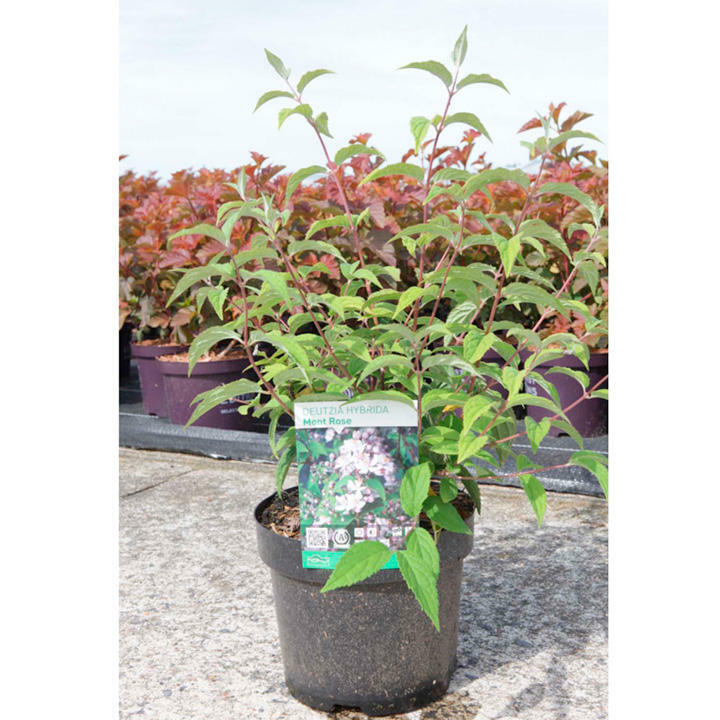 Prefering full sun, but tolerating semi-shade, Deutzia Mont Rose is a great shrub for small gardens as a specimen, or for a mixed border. Height 200-250cm.